3D foam embroidery designs have a bright shine in addition to added dimension, because the foam lifts the satin stitches so that they catch light. This dimension and reflection is a drastic contrast to the matte, rustic look of burlap – but we think that this pairing is quite attractive. The 3D Foam embroidery design was created in Embrilliance StitchArtist L2 with its automated 3D foam stitch type by Lisa Shaw and is available in the Embrilliance working file BE format, as our gift to you. Download and unzip the files and open the .BE file with your Embrilliance program to print a template and save to the stitch file format for your embroidery machine! For a video showing how to save a stitch file, be sure to visit our youtube channel! In addition to this free embroidery design, you will find some project instructions included in the zipped file! 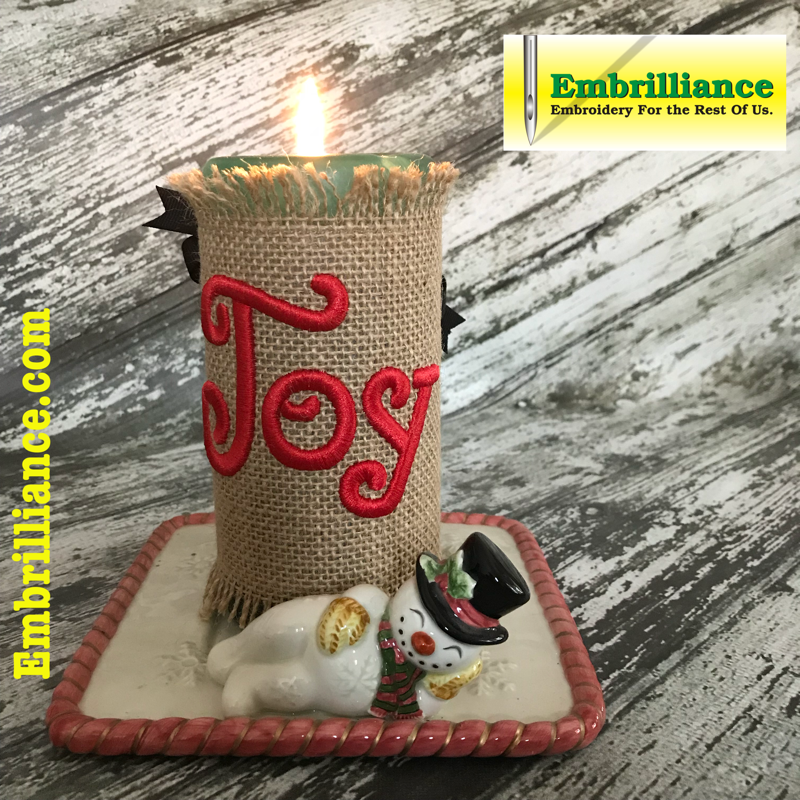 There are some handy tips for embroidering with 3D foam as well as working with burlap. Posted 1 year, 3 months ago at 4:59 pm.